Years ago Google introduced rel=nofollow, claiming it as a cure-all for comment spam. Once in place, it was quickly promoted as a tool to use on any paid link. Google scared webmasters about selling links so much that many webmasters simply became afraid to link out to anyone for fear of falling out of favor with Google. As the pool of links dried up due to the launch & spread of nofollow any ad network which used direct links was supposed to adopt nofollow or feel the wrath. Just ask Pay Per Post what Google can do to you if you sell links (to/through someone other than Google). Google demanded that any form of paid link contain a machine readable and user readable disclaimer that it is paid for (even though in Google's marketing they highlight how some of their users are unaware the search results contain paid links). What it came down to is if there was a monetary relationship associated with a link and you didn't disclose it then you were operating outside of Google's guidelines and may be considered a "spammer." I am one of many who have highlighted how by-and-large Google was responsible for killing off the link graph through their paranoia about "paid links," and their willingness to fund companies operating outside their guidelines that syndicate Google ads. "Quite simply, if you're a Web publisher who hasn't recognized the value of your outbound traffic, you are leaving money on the table," said Raymond Lyle, CEO and Co-Founder of Driving Revenue. "Dozens of our publishers make six figure incomes for a one-time investment of one minute of work. Who isn't interested in that?" The page loads fast. And your site looks exactly the same. Even your links look and behave the same way. The only difference is that now when your visitors buy products or services you'll earn a commission. ... Once you have set up viglink you can sign in to view reports about your site. You can see how much money you are making every day and compare that with last week. You can see which merchants are the most profitable, and make decisions on who to link to in the future. So basically Viglink is suggesting controlling who you link to based on whatever makes you the most money, and not providing any disclosure of the financial relationship. Here is where it really gets screwed up: Google is an investor in VigLink. Selectively allowing some links to pass link juice while arbitrarily blocking others indeed controls the shape of the web graph. It gives anyone who works with Google a strong competitive advantage in the organic search results over those who are not using Google endorsed technology. Google also has a patent on automatically adding inline links inside content. Since they can't legally do it without permission of the webmaster, one presumes any implementation would be as part of a distributed ad network. Makes you wonder about how evil undisclosed paid links are, no? In my opinion, the introduction of the nofollow tag/attribute was the bellwether of a subtle but important change at Google. The Nofollow created a standard method whereby webmasters could entrust their users with links which they, in turn, let Google know are untrustworthy. It is, without any question, a search-engine sponsored form of cloaking that endangers users. Google had long disavowed code tricks that allowed you to shield certain content from the user (ie: text/bg colors, negative margins, z-index, etc.). When Google released the nofollow, they were abandoning a core principle that they had held for a long time - show users the same thing you show the bots. Users would now see links as editorial or unfettered while the webmaster silently told Google that they were not. I believe we will see more and more of this going on. It is only a matter of time before Google introduces a paid-link tool inside Google Webmaster Tools which allows the webmaster to indicate areas of their page which have sponsored links. Google preaching the use of no-follow is propaganda. My friend knows that link renting/buying still works to improve my, I mean HIS rankings. Also, on a side note, I believe that Google investing in a company like VigLink makes total sense. Anything that gives Google more data about links is a good move (for Google). A: The same technology that you put on your page when you install VigLink normally can be used to rewrite all of your links using different tracking IDs. We can automatically use our tracking IDs on your page, and you still get paid the normal commission. 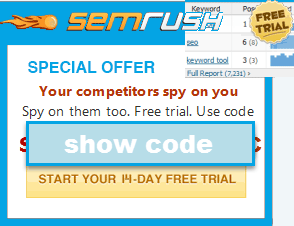 Once installed go to the "Account" tab and check the box next to "Overwrite any existing affiliate links." That's from the FAQ. Sounds to me like they violate the merchant terms, on your behalf. Nice. As a start-up with the scale to pull in a Google investment you would expect them not to come right out and state that so clearly! "As the pool of links dried up due to the launch & spread of nofollow"
SEOmoz's crawl shows only about 3% of the web using it. I agree it's perhaps harder to get links today, but I think you're exagerrating the extent, no? Regarding Google and disclosure, why do their ads now just have a meaningless 'i' you have to rollover as opposed to Ads by Google disclaimers? Re: Viglink, there's another company doing about the same called Skimlinks. Met one of their guys at ASE n it seemed neat! "As the pool of links dried up due to the launch & spread of nofollow" SEOmoz's crawl shows only about 3% of the web using it. I agree it's perhaps harder to get links today, but I think you're exagerrating the extent, no? Because Google makes more money using thin & obscure disclosure on their own ads. IDK if SEOmoz's figure included internal links, too, or not. But the first two points do certainly have an impact. Oh, and re: "1 minute of work" ... yeah, after years of building up awesome content. Stupid claims like that feed to 'get rich quick' appetite/belief of loads of new webmasters. Just like 'overnight celebrity' myths. It seems like a lot of authority in ranking sites should come from everyday internet surfers who post links. Most opportunities for them to do so are nofollowed. e.g. blog comments, lots of forums, etc. One of the largest issues are blogs, and legitimate blogs enable moderation anyways. Just wanted to comment on this one... if this were a function of the toolbar, which is really the only way they could do it without running the page through a Google proxy, then I don't think that they feel they need permission to do it. The toolbar is something that people voluntarily install, and adding those links in for people who opt in to it (or, more likely, fail to opt out of it) can be justified from a legal perspective, if only because ethics hasn't really caught up with web technology in some respects. Technically adding those links in would be no different than spyware, but as long as it's mentioned in the fine print somewhere, and the links are inserted on a user by user basis, they won't need the webmasters permission to insert them.